Updated: August 2017. According to research carried out by the London School of Business and Finance, around 50% of UK workers are actively seeking a career change; with Scotland, London and the North East of England regions topping the poll of those job seekers. Let’s face it – finding your dream job on the first try is rare. But what happens when you’ve invested years into a career which makes you feel unsatisfied? 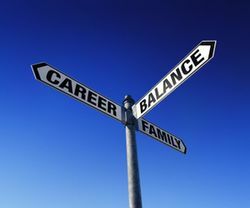 Many people feel hesitant to switch career paths. Once they’ve invested time and money into education, training, experience in a particular field, they feel that switching to a new career is irrational. A career change may seem like something only reserved for celebrities, but it is actually more common than you may realise. In fact, if you change jobs less than every three years, you’re actually in the minority! How do you tackle this in a CV? After all, your current CV most probably targets your past, and therefore, the wrong area, thus not attracting the correct audience. However, we’ve prepared these tips to help facilitate your change. If you still need more help, take a look at our career change CV writing service. Before deciding on a new career path, make sure to really think about what is really most important to you. Are you looking for a job you simply love doing? A pay increase? Something less stressful or with a more flexible schedule? Finding your motivation behind wanting a career change is a vital step in the process. If you truly know what you want, it is much easier to find the determination to go after it. Plus, you’ll avoid wasting time pursuing a career path that still won’t make you happy. Take some time to really examine your motives, your wants, your needs, your desires and your dreams. Once you have a clear idea of what type of work will make you happy, then you can begin the process of making it happen. Once you’ve chosen a field, it’s time to gather information on the businesses and companies that inhabit that field. Choose a company in your desired field, and find out more about them: visit the office if possible, or call and ask to speak with one of the employees. When making this initial contact, be forthcoming. Let them know that you are interested in working in this field, that you admire the work they do, and that you’d like their advice. Often the person will be flattered that you find their work interesting, and be willing to talk with you. If not, you can still gain plenty of information by speaking to customers of the company and checking the company’s website. Don’t forget to investigate competing companies as well. This will give you a good feel for the climate of the industry, and will help you narrow down which companies you are interested in applying for a job with. Once you know more about the field, it’s time to narrow things down even further. What exact position do you want to hold in the field? If you’re interested in becoming a nurse, for example, who exactly do you want to help? Children? The elderly? Those needing emergency care? Though all involve nursing, the dynamics of caring for each type of patient are very different, and this is the case with most career fields. Within each field, there are many possible roles to play. Figuring out the specific job position you want will help ensure that your day-to-day duties suit your particular skills and personality. When you find something that interests you, do more research. Call around, get on the internet, visit an office and talk to someone who does the job you want to do. Find out exactly what a qualified professional in that position looks and acts like. It’s time to take action. Make a list of the qualifications and criteria you need for that job, and compare it to your CV. Whatever’s lacking, start making a plan to achieve it. Do you need a degree in Accounting? Do you need experience in the field? Find a non-profit or company to volunteer with, or start helping out a friend who may do similar work. If you can’t find volunteer work in your exact field, get as close as you can. Any experience related to your field will make you more qualified. Is there a certification you need? A test you have to take? When you’ve added the necessary qualifications to your CV, it’s time to start applying for jobs. Review your CV, and make sure it sounds professional and clearly presents your qualifications. Then compose a cover letter for each position you’re applying to. Make sure to address each cover letter to the specific recruiter / HR contact. This seems more personal and lets them know you’ve done your research. Find out how the company prefers for CVs to be submitted and whether they require an application to be completed as well. Then, apply. Do this for all jobs you’re considering. It’s better to have to choose between multiple job offers than to waste time waiting on one that might not come through. If you feel unsure about your ability to compose a cover letter or compile a CV, you may be interested in our services! The final – and perhaps most important – step to securing that new career is to pursue it zealously. Many people make the mistake of sending in a CV and then just waiting for a response. However, determination and enthusiasm are important qualities to display for a prospective employer, and you will make a much stronger impression if you actively follow up on your application. Give the company a call a day or two after submitting your application to make sure they’ve received it, and don’t be afraid to check in once or twice a week to see where they are in the selection process. Though it may seem pushy, staying on top of the application process communicates confidence and commitment. Not only will you be informed on the progress of your application, but you are also ensuring that you will not be forgotten. Even if the supervisor becomes a bit irritated with your constant calling, she will know your name, and she won’t be able to simply dismiss you. The squeaky wheel gets the oil, after all, and most likely, your determination will add a positive edge to your application. 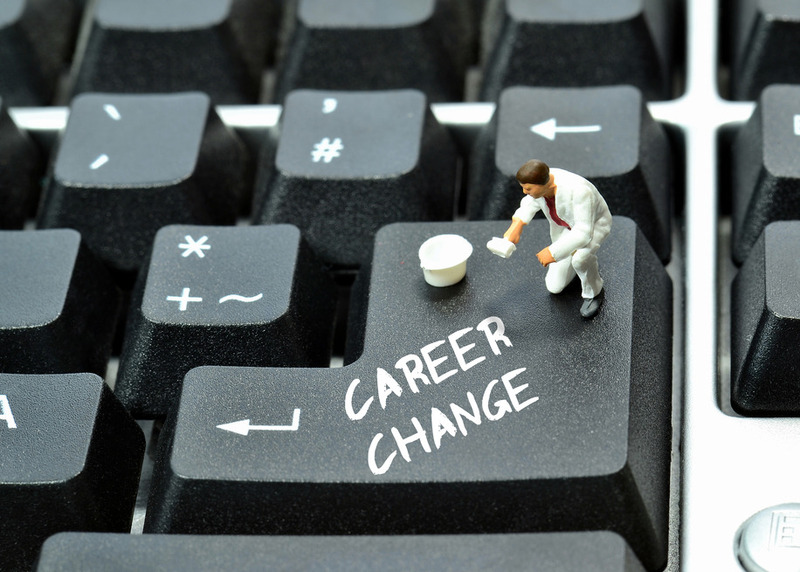 Changing careers can be scary, but it needn’t seem overwhelming. If you take the time to truly prepare yourself – know exactly what you want, do your research, gather knowledge and experience in the field, and apply in a professional manner– your transition to your new career will go much more smoothly. And remember, even if you don’t get the first job – or the first few – you apply for in your new field, each attempt makes you that much more informed and brings you that much closer to your goal. Do I need to state why I want to change career in my CV? No – this is best left to the interview where you’ll be able to provide in-depth reasoning. I have enjoyed 10 years’ experience in my current career – won’t this help me in the future? I have no industry experience whatsoever, is there any point in me trying to change career? Yes. As long as your CV showcases your abilities, relevant to the job you’re applying for, your lack of experience shouldn’t matter. Should I write a covering letter to use with my career change CV? Yes. We advise sending letters with all CVs – regardless of what it’s being used for! When using a letter for a career change application, rather than using the letter to promote your experience, use it to promote your knowledge of the company / industry and your interest in that area, together with any relevant skills and qualifications. Can I expect a better salary by changing careers? As a general rule, no. Often you’ll be looking at having to spend money on additional training / new qualifications. Also, because you’re starting in a completely new field, you’ll probably go in at a lower level than you’ve been used to – this allows you to gain experience. How can I find out about the industry I am interested in? Firstly, the internet is a great first stop. Search around for forums where you can chat with people in the field you’re looking at. Also, you should contact a couple of companies, and ask if there is someone who can talk to you to discuss what you can expect, the qualifications they require and transferable skills they would need. My family have all left home and I am looking for a career change. However, I have been an Operations Manager in London for 12 years and am now looking for a part time job in a local company. This will be a completely different issue as there is every chance you’ll be classed as overqualified. More advice on dealing with coming across as overqualified in a CV. i think im having a midlife crisis. the other day i was thinking of a career change and wanted to change my major.. This career change has brought me some really great opportunities & taking the leap was worth it! Need professional help writing your career change CV?